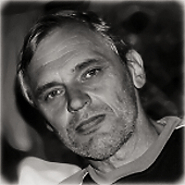 Jaromir Hron-galerie/Jaromir Hron-gallery | Welcome! / Vítejte! Thank you for stopping by & watching ! reakce - spíše než obyčejný pohled na danou scénu. The aim of Atget Photography is to provide you with a comprehensive list of photography sites, fine art artists and digital web sites links to museums, galleries, magazines, organizations, masters of photography, black and white photographers, individual artists, visual / computer web arts, contemporary art directories and various other online art resources related historical, modern and cultural fine art theme.